Anaerobic digestion is a biochemical degradation process that converts complex organic material, such as animal manure, into methane and other byproducts. 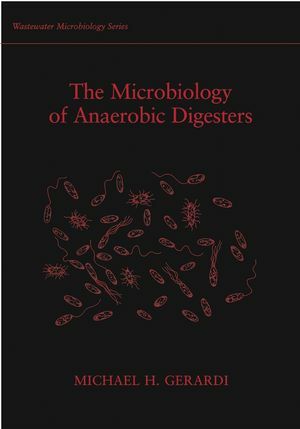 Part of the author's Wastewater Microbiology series, Microbiology of Anareboic Digesters eschews technical jargon to deliver a practical, how-to guide for wastewater plant operators. MICHAEL H. GERARDI holds an MS in biology from James Madison University and chaired the Water Environment Federation task force responsible for the development of its specialty publication, Wastewater Biology. He has authored more than ninety technical publications and has provided wastewater microscopy and consulting services for numerous municipal and industrial wastewater treatment plants. He is currently responsible for the development and presentation of the wastewater biology courses at Penn State. PART II: SUBSTRATES, PRODUCTS, AND BIOGAS. 10. Introduction to Operational Conditions. PART IV: PROCESS CONTROL AND TROUBLESHOOTING. 19. 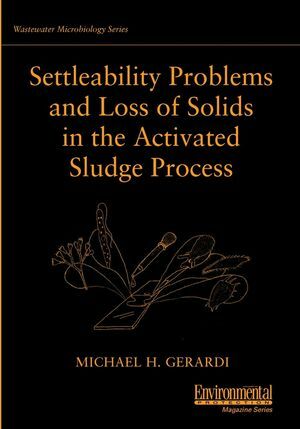 Upsets and Unstable Digesters. 20. Foam and Scum Production and Accumulation. 23. Types of Anaerobic Digesters. 24. Anaerobic Digesters verses Aerobic Digesters.